Campaign concept, art direction, digital advertising, virals and production. Root was commissioned by The Royal Court Theatre to conceptualise, design and produce a poster campaign that communicated the individual subject matter of each play with interpretative visuals that combined to form a distinctive new look for 2016. With far-reaching topics including lost generations, a Belfast loyalist with a disturbing conviction and dark conversations in Middle England, our interpretation of Caryl Churchill’s Escaped Alone was a teacup filled with thick, bubbling black tar. The result of a shoot art directed by us, with photography from Heiko Prigge and model making by Ollie Hipwell of Howling Hands, was a striking look that was surreal and memorable. Following the great success of their restaurant in Moscow, ‘The Russians’ decided to bring their mono concept, which is built around king crab meat sourced in the Far East, to London and approached us to create a stand out identity. Our challenge was to communicate the Korean & Japanese influence and style of eating and our divergent thinking led to the creative route, which incorporated the distinctive line work illustration of San Francisco based illustrator Rachel Levitt and photography of crab claws as mouths. Residential Development in Dalston, London. Name generation, branding, promotional brochure, digital and print advertising, film, site signage and production. We were briefed by Taylor Wimpey Central London to create a name, visual identity and promotional materials for their newly acquired development in the heart of Dalston. 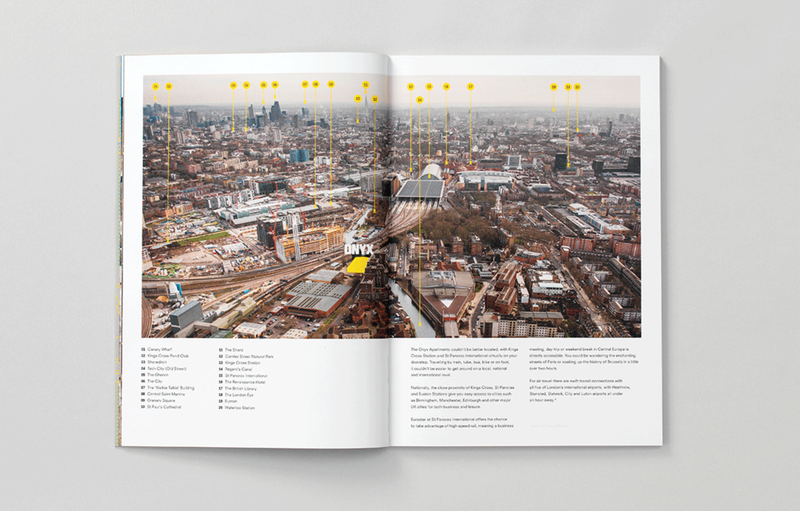 We sought to encapsulate a memorable destination for cosmopolitan living in East London that evokes the spirit of areas like Williamsburg, NYC with a clean, bold brand identity, name and brochure. To convey the desirability of the location whilst demonstrating its proximity to the City, we art directed a shoot with photographer Mark Sanders. The development was successfully launched in October 2015, with the brochure featuring as one of its core selling tools. Branding, promotional material, digital and print advertising. Directed by John Hardwick and produced by Root Films, Svengali is a big hearted rock ‘n’ roll adventure, which Irvine Welsh called out as “one of the coolest and funniest British movies in ages”. We created and produced the brand identity, title sequence, trailers, websites, together with an integrated advertising campaign. A true eclectic visual style that expressed the character and tone of the project featured throughout. Using ‘retro style’ stacked cassette tape cases as a graphic equaliser to introduce cast members, the vibrant movement of the tapes mixed with an outstanding track by Miles Kane, The Responsible, created a memorable title sequence for the film. Exhibition design, branding, art direction, digital and print advertising, site signage, packaging and production. Fragile Ventures gives artists a platform to develop their work into three-dimensional forms. 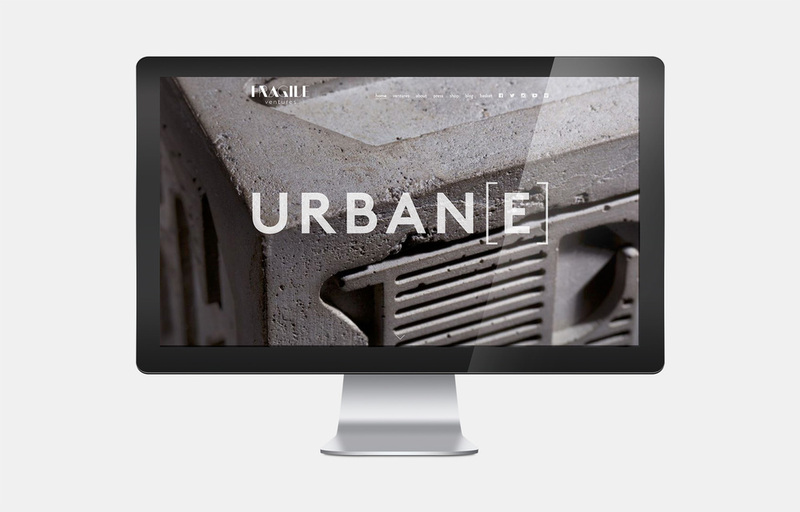 URBAN[E], the solo show by artist Ben Eine launched hand crafted cubes in concrete, metal and wood. Held at the Megumi Ogita Gallery in Tokyo, Japan, we designed and produced the highly successful exhibition together with all packaging and branding. In order to create an enthralling experience, we allowed attendees to get close to the pieces. The cubes were placed on stainless steel plinths filled with water to create engaging reflections, while multi-lingual lettering on the walls immersed visitors in the process behind their creation. Residential Development in King’s Cross, London. We worked with Taylor Wimpey Central London (the boutique division of the FTSE 100 listed Taylor Wimpey Plc) to name, brand and provide all collateral to support an all-encompassing marketing campaign for their King’s Cross development on the banks of the Regent’s Canal. The brief was to communicate the aspirational lifestyle synonymous with the development to purchases in the UK and overseas. 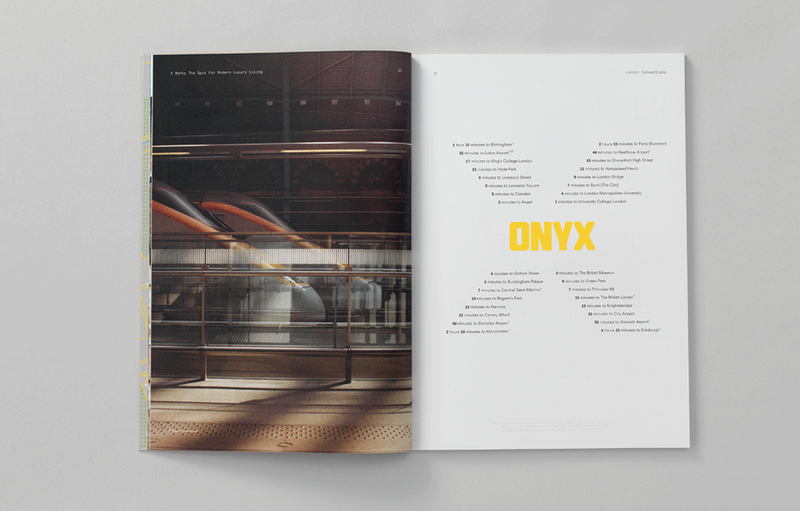 Onyx Apartments provided ever-present messaging of precious stone and its optimal location remained front of mind with ‘X marks the spot’. The outcome was a clean, bold brand and advertising campaign that successfully supported Taylor Wimpey Central London’s strategy to attract new buyers. Branding, art direction, stationery, website design and production. Craig Goldblatt, an inspirational speaker, approached Root with a brief to create a brand identity and website that reflected his motivational energy and ability to challenge audiences to be their very best. 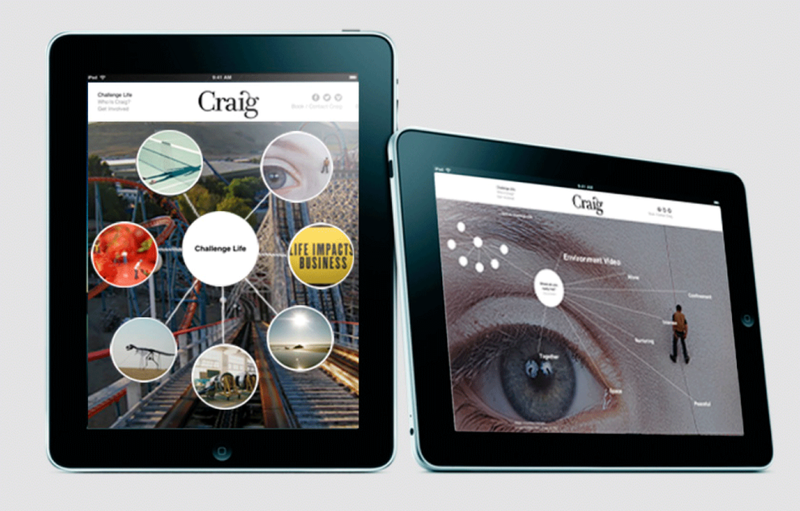 We created a multi-platform solution: A website that takes users on an inspiring, interactive journey, mixing film and striking images with thought-provoking copy that conveys all the key brand messages and values. The advanced digital programming entices viewers to explore and holds the “challenge life” theme at its core. We were commissioned to design and produce the Snub-Nose Owner’s Workshop Manual for New York’s Brooklynite Gallery, which was intended as an official guide to the gallery’s collection of prints by the same name. The result was a standard edition and a limited edition of 125, the latter of which was embossed, stamped and numbered. It featured a fold out two-sided poster and assorted prints of work by artists including RAE, Mau Mau and Carl Cashman. Branding, website design and production. The Melrose Avenue LA-based hair salon came to us with a vision to create a brand that empowered customers by celebrating the beauty in everyone. With this in mind, we developed an identity that was contemporary, slick, sophisticated and encompassed the inclusive vision of the company. Working with the idea that beauty is simple, using clean design and bold portraits, we developed a website that reflected the spirit of Salon Benjamin. We also created a boutique site for Benjamin’s sister brand Selects, which specialises in a unique selection of luxury beauty products from around the globe. The Royal Court is renowned as a writers’ theatre, so to create a remarkable poster campaign for the 2015 season, we met with the playwrights and worked closely with the marketing team to establish strong ideas that would promote radical thinking. The provocative themes included the idea that women disappear as they enter middle age, the story of a young girl trapped in an increasingly tiny world and early onset Alzheimer’s. A cracked porcelain swan, a trapped butterfly and a brain formed of squid’s tentacles represented the subjects of these award-winning plays.